Yangon (AFP) - A security firm with former US military contractor Erik Prince on its board has moved into Myanmar to provide protection services for international investors, the company told AFP, as it weathers backlash to revelations over planned work in China's restive Xinjiang region. Hong Kong-headquartered Frontier Services Group specialises in providing security and logistics for firms working in risky and conflict-hit regions. 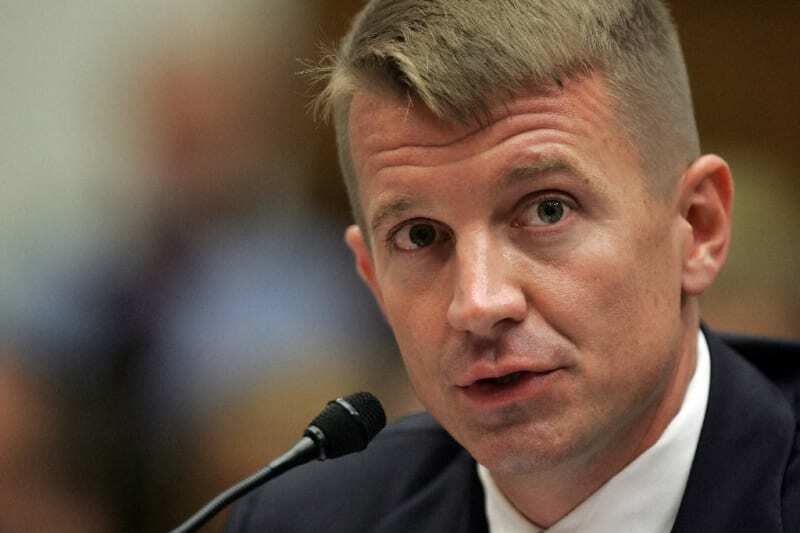 One of the company's board members and its deputy chairman is former Navy SEAL Prince, co-founder of notorious private security firm Blackwater and the brother of US Education Secretary Betsy DeVos. Employees of Blackwater -- which was later renamed -- played a controversial role during Washington's wars in Iraq and Afghanistan, including the 2007 killing of 14 unarmed Iraqi civilians. AFP reported in February that FSG signed a preliminary deal with China to build a training centre in Xinjiang, where Uighur Muslims have been targeted in an unprecedented security crackdown, including mass incarcerations. A company spokesman confirmed it was now also operating in Myanmar. "(FSG) has established a joint-venture security company in Myanmar and obtained a security licence to provide international-standard security services to international investors in Myanmar, including those from China, Japan and Thailand," he said Wednesday. He declined to give additional details and it remains unclear which companies FSG would work with and where. The firm has been active in Myanmar since at least mid-June last year. Photos of an FSG-run "Personal Protection Specialist Training Graduation Ceremony" were posted then on the Facebook page of a former senior military official. Many large investment projects in Myanmar are in the restive borderlands where the military is waging war against various ethnic rebel armies. This includes Rakhine state where the military conducted a bloody crackdown against the Rohingya Muslim community in 2017, forcing some 740,000 over the border into Bangladesh. All three countries mentioned by FSG are ploughing money into the frontier market, with China by far the largest investor. Beijing is financing ports, dams, pipelines and mines across the country and yet more cash is expected to pour in under Beijing's massive "Belt and Road" global infrastructure project. A subsidiary of Chinese state-owned CITIC Group, CITIC Group (Myanmar), is the main investor in Kyaukphyu deep port in Rakhine, a project signed off in November at a cost of $1.3 billion. CITIC Group chairman Chang Zhenming is also board chairman for FSG. But CITIC (Myanmar) could not immediately be reached for comment on whether FSG is already -- or will be -- providing services for the company. Myanmar leader Aung San Suu Kyi wants to attract investment to Rakhine, one of the poorest states in the country. But uncertainty over the future of Rohingya repatriation and fresh conflict with ethnic Rakhine rebels is standing in the way of any major transformation. The instability provides a landscape ripe for security companies, and rights groups are concerned what FSG's entry into the market will mean. "In a country like Myanmar where rights abuses by security forces are all too common, Erik Prince and FSG will sadly fit right in," Phil Robertson from Human Rights Watch said, calling on the media and civil society to scrutinise the firm's activities.